Few political figures of the twentieth century have aroused as much controversy as the Russian revolutionary Leon Trotsky. Trotsky's extraordinary life and extensive writings have left an indelible mark on revolutionary conscience; and yet there was at one time a danger that his name would disappear altogether from history. Isaac Deutscher's magisterial three-volume biography was the first major publication to counter the powerful Stalinist propaganda machine, and in this definitive work Trotsky emerges in his real stature, as the most heroic, and ultimately tragic, character of the Russian revolution. 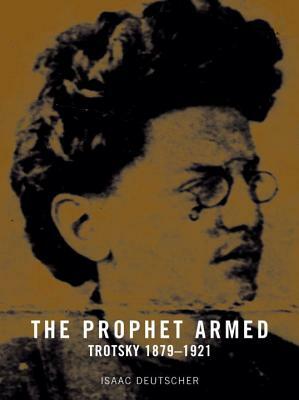 This first volume of the trilogy, originally published in 1954, traces Trotsky's political development: his early activities, the formation and crystallization of his distinctive and motivating idea the permanent revolution his long feud and final reconciliation with Lenin and Bolshevism, and his role in the October insurrection of 1917. The volume ends in the year 1921, when Trotsky, then at the climax of his power, unwittingly sowed the seeds of his own defeat. Isaac Deutscher was born in 1907 near Krakow and joined the Polish Communist Party, from which he was expelled in 1932. He then moved to London where he died in 1967. His other books include "Stalin" and "The Unfinished Revolution."